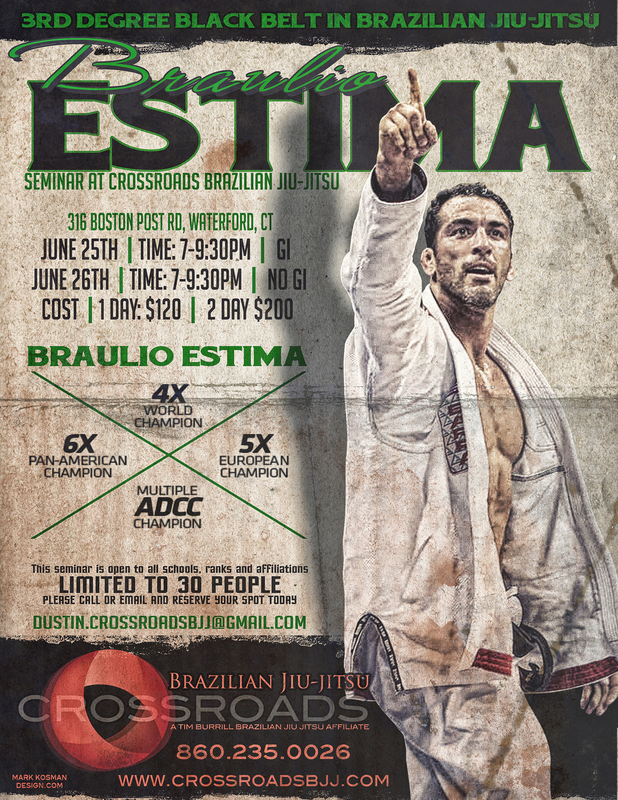 Crossroads Brazilian Jiu-jitsu is proud to announce we will be hosting 5 time World Champion and Multiple Time ADCC Champion Braulio Estima for a two day Seminar June 25th and 26th. If you are in the Groton, New London Connecticut area and want to learn Brazilian Jiu-jitsu, come train with us! This seminar is open to all regardless of rank or affiliation. Please email Dustin.Crossroadsbjj@gmail.com for more details.